So I've been swapping teams again and wound up in the 1470's on both my 2's and 3's team. I would have been higher on 2's but left my 1524 team to help out a friend who's team was at 1400. But at this low of a rating who cares. The sad thing was that I was pretty happy to hit 1473 in 3's....Happy? WTF! I was sitting pretty in 1650-1750 last season and was even pushing the low 1800's after the infamous pre-wrath "patch"... and now I'm happy to be seeing a sub 1500 score? Yeah, that's bad.... but as it turns out many people must be feeling the same way, no one's posting about it (I think they're embarrassed) but the numbers verify it. On my battlegroup the 1479 score put me in 1,292nd place out of 2,342 or just under the 50% mark....Out server, i'm on page 3 of 7 telling me I'm actually just over the 50% mark... yeah, receiving a 1479 on the Antonidas server gives me a better score then half of the people playing. And even that score is somewhat on the optimistic side if you're playing a warlock. This season is truly baffling and I am starting to wonder if higher resilience numbers are going to make any difference at all. I havent even done and arena match in burst fest 09. 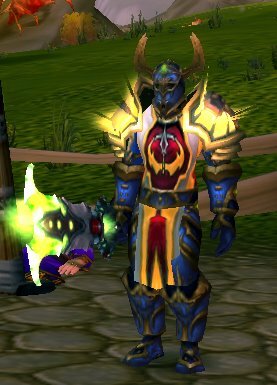 Thinking about teaming with a DK though and staying prot myself. I have no problem with a 1479 rating being just under 50%. That's the way it's supposed to be! That's the way the system was designed, you know, math and all that. Of course, I understand your frustrations with an average score considering all the good Arena rewards require much better than average ratings.